TARIFA – LOS LANCES BEACH -LA JANDA – VEJER – BARBATE MARSHES This was our first trip to the coast on a lovely sunny day, a cooling wind kept the temperature down to the lower 20’s. We drove to the coast via Jimena de la Frontera noting Little Owl, Common Buzzard, Black Kite, Booted Eagle, Lesser Kestrel, lots of Corn Buntings and White Storks along the way. It was quite breezy at Los Lances Beach and there were people walking on the beach which disturbed the roosting gulls and waders. We only saw Kentish Plover (a family party) and Yellow-legged Gulls. 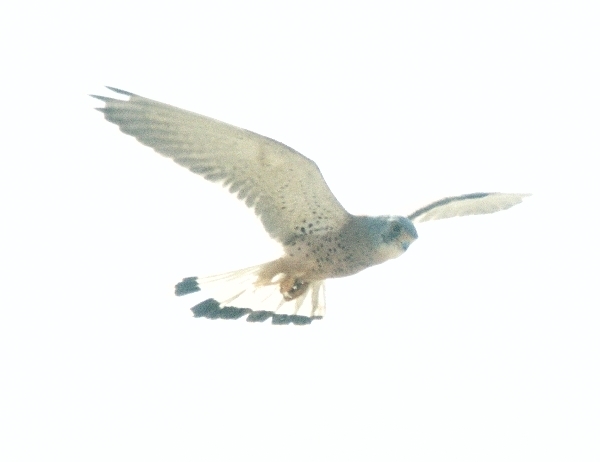 On the grassy margin behind the beach we found Crested and Short-toed Larks and a few Goldfinches but that was all. La Janda was the same, this transitional period between breeding and reverse migration is the quietest time for this area. The rice fields are just being flooded so many Little & Cattle Egrets were feeding there with dozens of Glossy Ibis and a few Black-winged Stilts. Along the main track we found Calandra Lark, Zitting Cisticola, Crested Lark, Stonechat and the inevitable Corn Bunting. The best birding was along the track where the Cattle Egret breeding colony is housed, what a smell, also noisy and colourful, but an enjoyable experience. Most Cattle Egret nests now have large chicks, I guess there are between 500-600 nests and also 50+ Glossy Ibis and a couple of dozen Night Herons. We ate our lunch whilst watching Red-rumped Swallows and the Egret colony, a few butterflies were feeding on the nearby plants, Small White, Clouded Yellow, Small Copper and Meadow Brown. 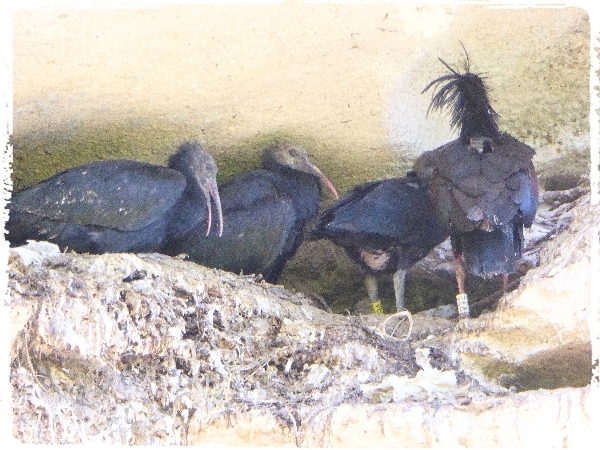 From La Janda we drove to Vejer to look at the Bald Ibis colony, they are doing well with two or three chicks in every nest, wonderful to see. 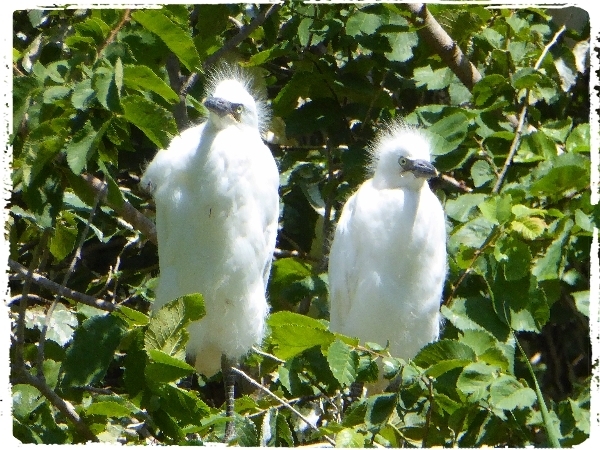 Another Cattle Egret breeding colony nearby offers very close views of the nesting birds. Lots of Jackdaws also breed on the cliffs with the Ibis and many Feral Pigeons. 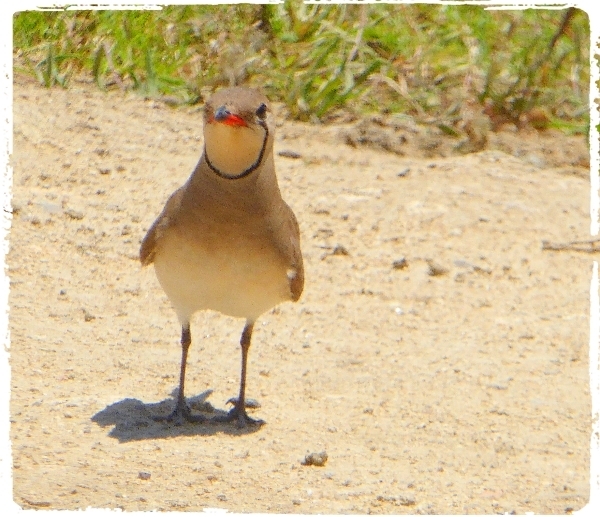 Barbate Marshes must be the best place to watch Collared Pratincoles in the whole of Andalucia, at least 100 pairs are breeding there and many of them perch on the track right next to the van. We noted fledged chicks on the track and the Stone Curlews seem to have also done well, both pairs have at least one chick and probably two. 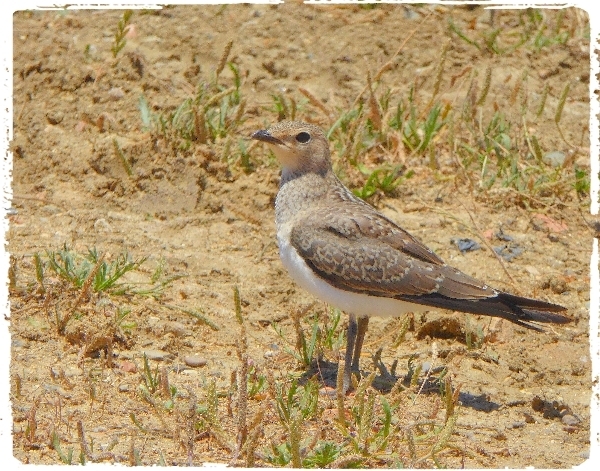 Kentish Plover, Yellow Wagtail and Short-toed Lark were all looking after fledged chicks and Little Terns fed in the large lagoons, this must be my first visit this year without a sighting of Spoonbill or flamingos or avocets, they have been absent for a while. I did note some distant Sanderling, Dunlin and Curlew Sandpiper but they were in very small numbers. 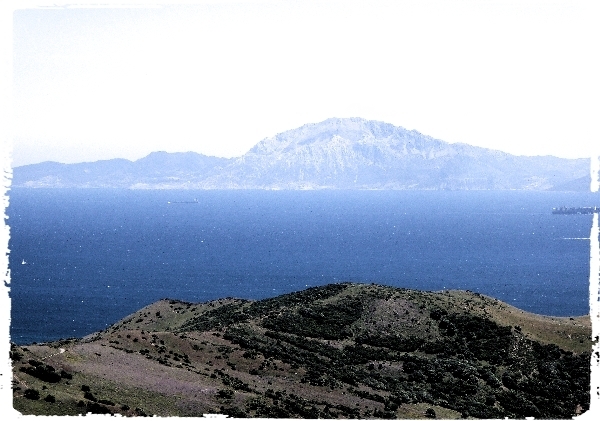 We left the marshes after having great views of Iberian Yellow Wagtail and drove to the ‘mirador de estrecho’ the view point of the Gibraltar Strait. The light was marvellous and the air was clear giving us wonderful views of Morocco. Nothing of note was sighted as we drove back to Gaucin, the scenery was just magical in the afternoon light.